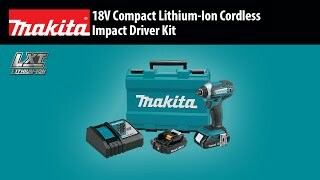 The Makita 18V LXT® Lithium-Ion Cordless 6-Piece Combo Kit is built for the pro-user who requires a wide range of best-in-class cordless solutions. 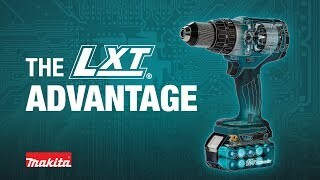 The XT610 delivers six Lithium-Ion cordless tools for drilling, driving, fastening, cutting, grinding, demolition, and more. The XT610 includes a ½” hammer driver-drill with 480 in. lbs. of Max Torque, an impact driver with 1,460 in.lbs. of Max Torque, a 6-1/2” circular saw that will cut 2X material at 45°, a recipro saw with 0-2,800 SPM, a 4-1/2” brushless angle grinder with 8,500 RPM, and a rechargeable flashlight with Xenon bulb. The kit also includes two 18V LXT® 3.0Ah batteries, a Rapid Optimum Charger, and tool bag. Shipping Weight : 42 lbs.